Love is in the air… that is for sure. Everyone around is getting all excited about Valentine’s Day.. and there is nothing better than planning ahead. 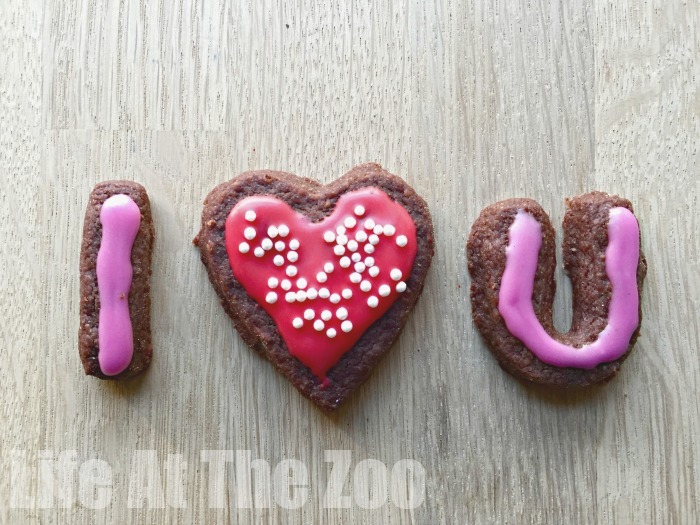 Valentine’s Day for me is all about the small things.. no fussing, but just showing you care.. today we made some super simple I Love You and Heart Cookies – they use our chocolate shortbread recipe – which is a no egg cookie recipe too and they taste great! So easy. We adore Heart Crafts as well as a nice little Valentine’s Day Treat to make with kids! If you are looking for more Valentine’s Day ideas, there is a great Valentine’s Day Craft series and also a “No Candy series” on Red Ted Art and Fun Crafts Kids. Go pop over and look! 1) Mix all your ingredients into a smooth dough. If you do not want to use an egg (maybe because of children helping) you, can mix the cocoa with some milk and make a moist paste – the egg is mainly there to help bind the cocoa to the basic shortbread recipe. We did this with a kitchen aid, so the children just helped pour everything in. 2) Roll out 5mm or a little thicker and cut out your hearts and letters. If you don’t have an alphabet cookie cutter set, you can form them by hand! Also fun!! 3) Bake in the oven for approx 10min. 4) Let your chocolate shortbread fully cool. Then mix the icing sugar with a little water and food colouring. 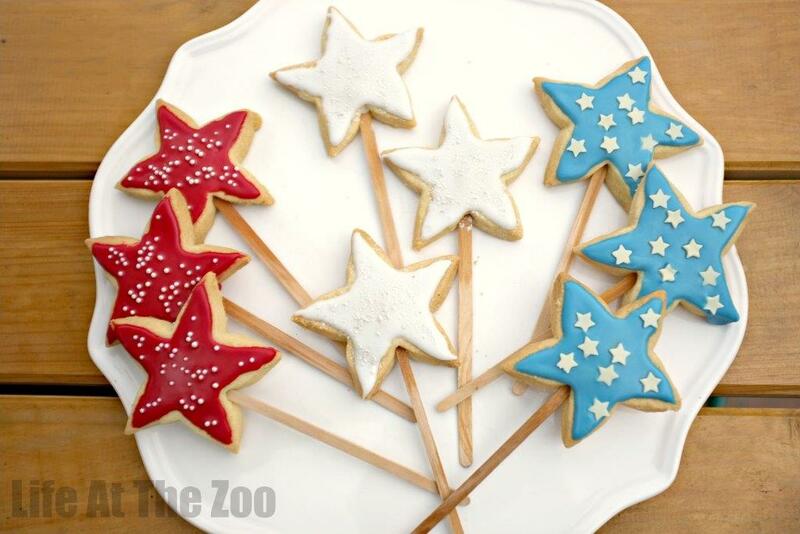 Carefully apply to your cookies with a knife (much easier to spread than with a spoon) and add your sprinkles. Done. So easy! Share with someone you love!!! 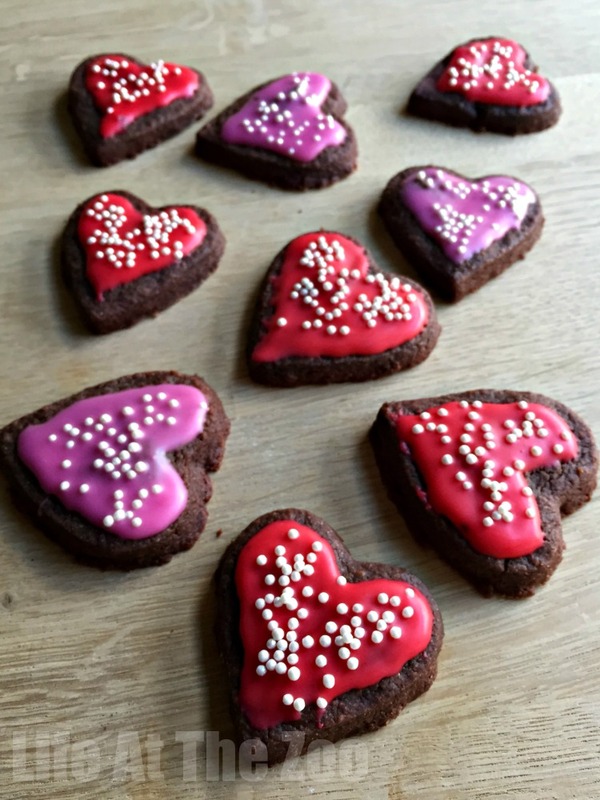 Looking for more Valentine’s Day Treats to Bake? Check out our complete list!! Oh they are very cute indeedy!